I can't pull that off. Why? Do you have some freakish alien characteristic that no one else living from 1900-1990 didn't have? No, you don't. 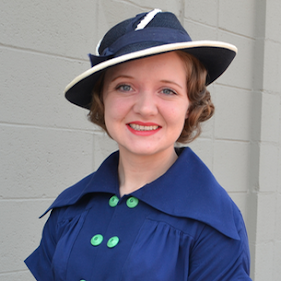 There was someone like you that wore 1940s/60s/vintage clothing. Only, they pulled it off the first time around, and you could pull it off now as vintage. ...But you can afford clothes from department stores and the mall that last all of five seconds and then fall apart? 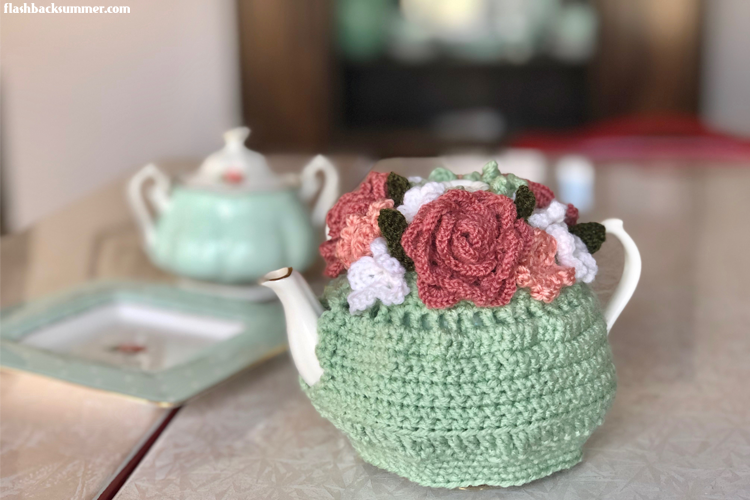 Vintage can be expensive, definitely, but it can also be extremely cost-effective when you find it at garage sales, eBay, or reproduce it yourself, and they last longer due to quality. There are many deals to be found, and vintage is higher quality than anything you can find at the mall. Nobody in my area wears vintage. Me neither. So you just won't look like everyone else. Darn. On the positive side, if vintage isn't popular in your area, it's probably cheaper! Look where there's other old stuff. Or follow my blog and I'll show you the ways! I don't have time to dress that nice all the time. Everyone spends time on their outfits, whether it's putting on the perfect eyeshadow to go with your modern outfit or perfecting your messy bun to go with your sweats. Vintage can take as much or as little time as you'd like to put into it. Women in the 40s were taking care of families, farms, and putting in an 10 hour shift in the factory and still managed to look cute in what we now call "vintage" styles. It's not that time-consuming once you learn it. Not to mention, I spend about 45 minutes getting ready every day. If not less. And that's hair, makeup, outfit, everything. I don't know how to do my hair/makeup/outfits like that. I didn't either when I first started wearing vintage. But I learned! I researched, I looked up tutorials, I practice, and now I'm a pretty competent vintage wearer! I don't have the confidence to rock it. People might look at me. How do you know until you try it on? There's something amazing about putting on some fabulously made, unique, well-fitted clothing that does wonders for one's self esteem. Vintage is about dressing yourself well (instead of wearing all stretchy all the time, like modern clothes that are made for the masses, not for YOU.) Vintage is personal, and even I had to work up the courage to wear some of my more daring pieces. It can take time, but you won't know if you actually have the confidence until you give it a shot. What other excuses have you heard or even said yourself, and what is your response to them? If you've never worn vintage before but would like to, what is stopping you? What a wonderful post. I have told myself all of these excuses over the last few years and have slowly overcome most of them and now hear all these same lines from other people when they talk to me about my clothing/hair/ect. Thank you for sharing this, it's a nice little reminder that it is ok (GREAT) to be different, make the effort, and stand out from the crowd. I'm glad you identify! I had the same journey, too. (And I'm still working on overcoming them!) There are so many reasons to not wear vintage... But I think we can all agree that it's TOTALLY worth it in the end. Excellent post, dear Em - you're on such a roll lately! :) I've heard all of these many times before, frequently from two age brackets in particular: teenagers on the cusp of their 20s and middle age ladies. I always try to encourage folks to just go for it! You don't have to toss out your existing wardrobe and spend four or five figures on a new one overnight simply because you've developed an interest in old school styles. A few basic, versatile pieces (which some folks may already own even), some inexpensive vintage jewelry, seamed stockings, and a hat or two and you're well on your way to looking vintage. Add in a classic hairstyle and makeup up look and you're as good as there. Thanks Jessica! I totally agree; I had to work into vintage slowly. As much as I would have LOVED to throw it all out and go on a shopping spree.... I could not. And it really took me a while to get into it fully and to get the confidence to wear the styles I wear now because I was weirded out at the thought of sticking out and being seen as strange. I wish someone had just told me to knock it off and GO FOR IT! Actually for many plus size gals, vintage clothing IS hard to come by and when you do, it's outrageously expensive. So yes, the reasoning for not wearing it because it isn't the right size is a plausible excuse. Repo doesn't come in extended sizes very often and usually just as expensive, if not more and made of cheap material. And not everyone is a sewing expert to find patterns (which is hard to find in extended sizes as well) to be able to make their own. Sorry but your post comes off more uppity than it does helpful. Many people shy away from the vintage community for that very reason. And I have to agree, there is too much "cool kids club" then there is an actual appreciation or discussion for vintage finds. It's more about who can accumulate the most bakelite or post the best pin-up selfie. I'm not trying to be "uppity," I'm just trying to remove barriers for people who WANT to wear vintage but are afraid to for some reason. I was one of those people for a while, and these were my own issues! And I know plus sizes are hard to find, but it's really not an excuse for a plus sized lady that really wants to wear vintage! There ARE options! Everyone struggles with reasons why vintage won't work for them, regardless of size. For me, it really is hard to find clothing "short" enough for me. I don't have a lot of money. I live in an area where vintage isn't popular and I can't find much. When I started, I wasn't very good at sewing. 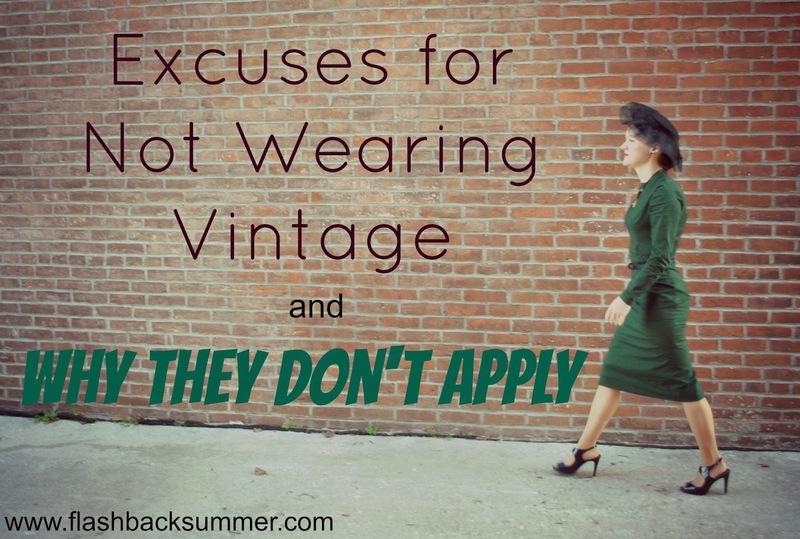 Everyone has excuses, but we all decide if it's worth it to us to overcome them and rock the vintage in the ways we love! Ok, I don't think you get it. It's much easier for a woman of your stature to find an article of clothing that may be too long and have it hemmed, either by yourself or by a tailor. It's much more difficult for a plus size woman to take an article of clothing not her size and let it out because many times, there isn't enough fabric to do so. You are comparing apples to oranges here. Yes, there are other outlets to express your vintage loving self, but to claim that no being able to find the size that fits you for the reason as you can't or won't as an unreasonable one is just being deliberately obtuse. If you love vintage, great! But don't look down your nose at others because they don't share the same priorities as you. I use a lot of those excuses for not buying vintage clothing... but I still dress vintage from time to time. I have a few pieces, but I really don't care too much about doing my hair and make up. Though I would like to learn more about how to style my hair. I wouldn't say it is always expensive, but I rather save my money on other things, like a healthy diet and a house. And to put in perspective very little is spent on clothing in general. I think I spent $25 recently on a dress and that was my "slurge." BUT I have bought vintage pieces for $5 to $20. Oh and I always hate the "I don't know how to do my hair and make up!" You can still wear a fabulous dress without looking a specific way! Rock your own style. Even vintage girls who style their hair a certain way still have their own way of styling their hair and makeup. I don't dress vintage ALL the time either. Sometimes the yoga pants or the jersey dress call out on a tired morning and I just can't not put them on... And I think it's great that you just do what you do, too. "Even vintage girls who style their hair a certain way still have their own way of styling their hair and makeup." Yeah! So true! 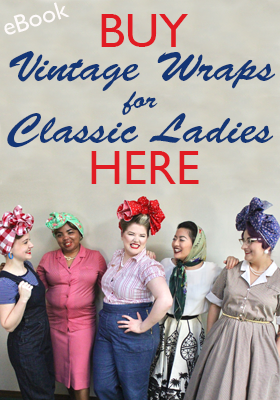 Everyone finds their "niche" in the vintage world, and it's so cool to see the creativity! As I mentioned on Instagram, I think a lot of people say "I love it, but I could never do it" and mean it mostly as a compliment... they like the style, but it's not a real priority to them and they feel like saying "I wish I could be as fashionable as you" is a better compliment than "you look awesome". The number of times someone at work has asked, "Do you do your hair yourself?" ...why no, I have a live in hairdresser. Of course I do my hair myself! I can definitely understand why people would be put off by the vintage community. There are parts of it that are quite clique-ish, and although it's not as bad as beauty or nail polish bloggers (where I started....) it can be daunting to try to look for advice in the vintage community online. I think that the best advice for someone wanting to wear vintage is to get some classic staples to start working a little retro flare into their wardrobe before going for the real vintage deal. Sure, vintage and repro can be hard to find at a size or price point, but you can get a great basic skirt and a cute blouse and a stick of red lippy just about anywhere to give the look a test drive. Haha, "No, I have a live-in hairdresser!" You're so right. What silly logic people have! And you're so right, it can be very daunting. I remember starting out and thinking I had to have the wardrobe of Solanah to be a "real" vintage wearer. Now, of course, I know that's not true, but I had to figure out what I was doing and just work in pieces over time (which I'm still doing). Maybe it's just the city that I live in or the people that I come into regular contact with, but no one has ever actually told me that they don't feel like they can wear vintage. I regularly get comments about how I look nice, or I look like I'm dressed up and must be going somewhere fancy. I must be doing it wrong. ;) Those are great things to keep in mind when I'm wondering if I can pull off an outfit myself, though. And yes, I have to remind myself of these things too! I especially remember having a discussion with myself about working up the guts to wear a large red hat! Hahaha, well good! That's what I was hoping this post would convey, cuz I sure needed a cheerleader like that (mixed with "Hey, get over yourself and have fun with this already!) when I first started to ponder wearing vintage! I think this is a great post! Not uppity at all. I've used many of these excuses myself and I'm still working to overcome them. I love wearing vintage and vintage style clothing but don't wear it all the time. On weekends I'm very much a jeans and t-shirt kind of girl. :) Even as a teen I almost never wore skirts or dresses, I guess because they weren't practical for farm work. :) Nowadays I like to dress nice for work but mostly wear pants because it tends to be freezing in the office. (which is an issue all it's own!) I almost never bother with make up unless it's for something special, even then I keep it very simple. I have to admit that one of the biggest things holding me back from wearing vintage all the time, aside from budget and finding the time to make all the things I want to, is feeling self-conscious. I've never really liked sticking out in a crowd or being the center of attention. I'm much more comfortable "dressing funny" (vintage or historical) with a group of people or having a specific occasion to dress up for. I know it's completely silly but it's a kind of safety net. I'm certainly much better about it then I used to be and I think blogging has really helped. It's been great to share knowledge and experience with like minded people. Another thing that has helped is having found or made a few pieces of clothing that I really feel comfortable in, physically and mentally! Having a few staple pieces that fit great, flatter your body type and fit your personal sense of style can really make a difference. And feeling self-conscious is an understandable barrier. Especially in places where vintage isn't popular, vintage-wearers can really get stared at, and I'll agree, that really isn't very fun. I don't think it's silly to feel uncomfortable with that. Blogging has really helped me, too, on that front! It's nice to know that even though my clothing is weird in my town, it's normal to other people that love it like I do! And having a few pieces of clothing you're really comfortable in is such a great idea. That really overcomes most of the barriers right there! Investing in pieces you really love and feel amazing in truly can do wonders! You're so right! I did that, too, when I had the notion of maybe to start wearing vintage. And vintage really does require a new set of skills and habits that have to be developed, so it really can take a bit to feel comfortable and "you-ish" in it. Kudos to you for having fun and doing what you want with your style! Oh my, I loved everything about this post! I identify with and agree with each point. I hear all the time that people couldn't 'pull off' what I wear, but I wouldn't be able to pull it off either if I cared what other people think. I just wear what makes me happy and that's why I'm able to pull it off. I feel so much more like myself dressing in vintage than in modern attire! Also, I'm so sorry that I haven't visited your blog before! Somehow it slipped through the cracks and I am remiss because a scan through your blog shows me that you are going to be one of my favorite reads. I adore your style! Aw, well thank you so much, Katie! I love your blog, too, so it'll be great to interact with you here on the interwebs more! hahaha, this post made me laugh! i suppose, people who really want to wear vintage, wear vintage. others just don't. Yeah, it's very true! Especially because vintage can be expensive/hard to find, you really have to be at it for a few years to build up a good wardrobe, unlike modern clothing! Everything about this post is perfect!